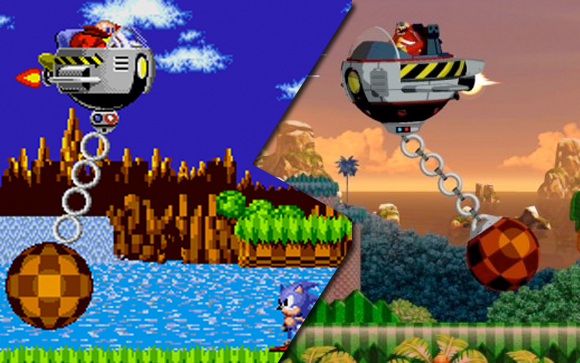 Sonic the Hedgehog has had a dismal decade if we look back to some of the games that Team Sonic has released. Most of the newer games were horrible ideas with bad controls that didn’t stick to the beautiful 2D model that we loved so much back in the 90s. 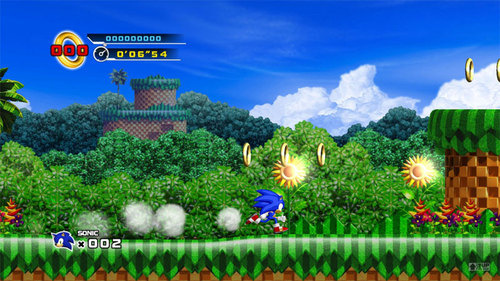 Sonic was built up by Sega to be the big rival that the plumber, on another video game system, had. 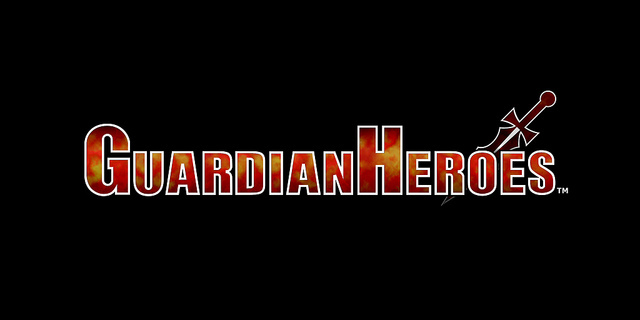 Going into this game, it should be known that it’s part remake and part original game. The levels that are packaged with episode one will look VERY familiar to those that have played the older games. Even though the graphics has been updated, you will instantly recognize the levels. What makes it original is the levels were revamped with many new features added in. The bosses as well, will be recognized from the older games, but they were even given a nice fresh twist. The stage graphics and most character models – Seeing some of the older levels done with these renewed graphics has been quite nice. My inner child is smiling HUGE seeing at how great these levels look. The models of the enemies and bosses are also awesome in comparison. In fact the following screen shot shows the post Sonic boss next to the newly rendered Sonic. Being that a picture is worth 1000 words, I will let the picture do the talking for me. Two modes of Play – You can go through the game a couple of times. There is a score attack mode that is focused on trying to score the most points in a single level. The other game mode is time attack, how fast can you get out of the level. Not only can you do these two different modes, there are leader boards so that you can get bragging rights over friends, and everyone else that has bought the game. I find that kind of cool, and what was missing in the port for Sonic 2. Seeing how there was only one thing that I liked, you can imagine this list is going to be big. It is wise to note here that I played Sonic 4 Episode 1 next to Sonic the Hedgehog 2 for comparison. I needed to because I wanted to get a feel for the series again before it had been so long since I did it. Also, when I say that I played Sonic 2, I mean played it on an original Sega Genesis (Mega Drive) and the port to XBLA. I wanted to get a good feel for both games. The Controls! – The exclamation point is there because on the original Genesis, the controls were tighter! When you take Sonic out for a spin in Sonic 4, the first thing that I noticed is that the control of Sonic is very sluggish. 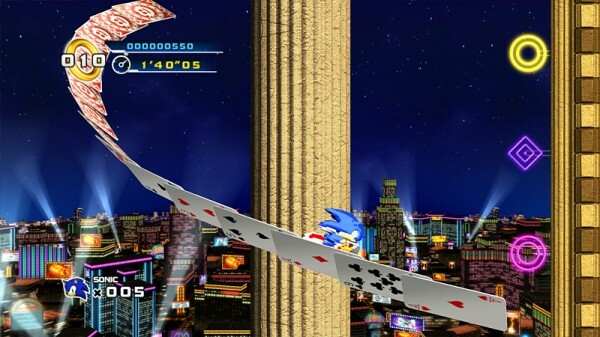 When you jump it feels like all speed that Sonic had accumulated is lost just like that. It’s not within the controls that everything feels sluggish. Sonic just doesn’t move as fast – I was shocked when I noticed that I could get Sonic moving faster in Sonic 2 than I could in Sonic 4. Now I am not going to sit here and even say I’m a fast sonic player, because I am not. 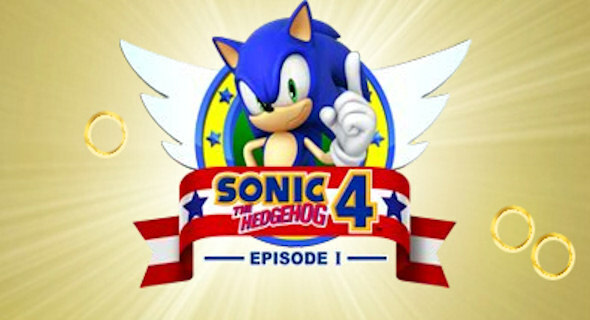 But the feel of Sonic in 4 Episode 1 is a lot slower compared to two. I am also not alone in this opinion either. I asked around because I thought it was just me, not having played a Sonic game in quite some time. He just doesn’t move like he used to. Physics are off – You feel it when you jump. You feel it on the springs, when you are running. It just doesn’t feel right. Maybe it’s the controls, maybe it’s just they didn’t follow the old coding from the past games. I can’t put my finger on it, but I can tell you it’s just not right. Sonic’s Model – while I like the other character models in the game, I don’t like Sonic. Just as the controls don’t feel right, Sonic’s model doesn’t look right. His spikes don’t flow like they did in the older game. When you roll up into a ball, to protect yourself as you are running along, it looks a little lopsided, which is upsetting. I want to say that Sonic’s model was rushed, but I have no proof it was or wasn’t. I will be honest when I say, that I was let down when I started playing this one. With a platformer, control and physics are the two most important details; if they are messed up the game doesn’t feel right. The feel of the controls and the physics being off ruins the games for people that have played the ones from the 90s. If you are new to the series, you will be treated to a good Sonic game and have an idea of what you have been missing. To coin a phrase that we use in my podcast, it’s not worth the full price of admission. I am still going to say try it, because if you never played the games in the past, you might love it.